App Promotion can be a daunting task, especially considering the presence of millions of applications in the app ecosystem. 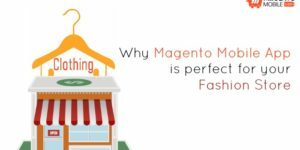 Moreover, tracking the usage of a Magento App or in fact any other application can be difficult when you don’t have a clue where to begin from. If you want to know how you can track your iOS or Android Magento App usage and promote it, then just keep on reading. To ensure complete results, you would require use of Google Analytics, AdWords, Firebase analytics and similar other tools. 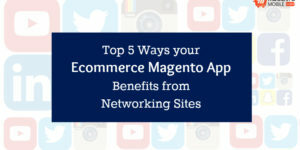 You should be more concerned about the phase post download of your ecommerce Magento App. You can track what the users do after they have installed your application by using a free app measurement solution, i.e. Firebase Analytics. 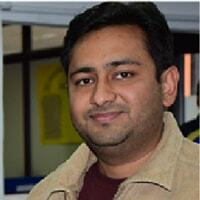 This analytics tool gives information about user engagement and app usage. You can also use other third-party tools to track in-app events and conversion value. It is very important to identify what you require from your application in terms of worth and long-term value. This can be done by defining certain metrics. For example, do you want more new users or do you want repeat customers? Actually, you would want both. However, focus on defining what you want because then you will be able to make campaigns, in-app events and optimize your app for optimum conversion. Don’t know what you want more from your app? Well then Universal App Campaigns is just right for you! This campaign will automatically optimize ad creative, targeting and bids under your budget. 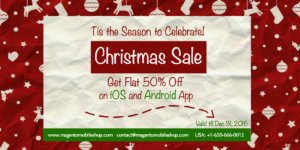 This campaign is available for use on both iOS and Android Magento App. So whether your potential users are using Google Search, Google Play or any other Google network, they will you. 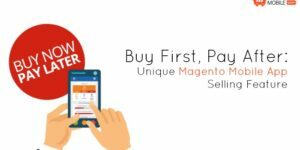 The next thing to do is promote your ecommerce Magento App by running ad campaigns especially in Google’s Display Ad Network. Your initial campaign should be focused on increasing app installs. Later on you can diversify. These ads will help you get more potential users who are using similar applications or browse mobile sites that run display ad. By running a Google Search Network Ad Campaign, you will be able to fetch those users easily who may have searched for your services. This would require you to rely on tools such as Keyword Suggestion which will help you identify the key phrases or seed keywords. This campaign will help you target users who will watch or click on your video. This also means that you won’t pay unnecessarily, only when somebody clicks or watches. Through this, you get quality app installs, genuine customers and your campaign money doesn’t get wasted! 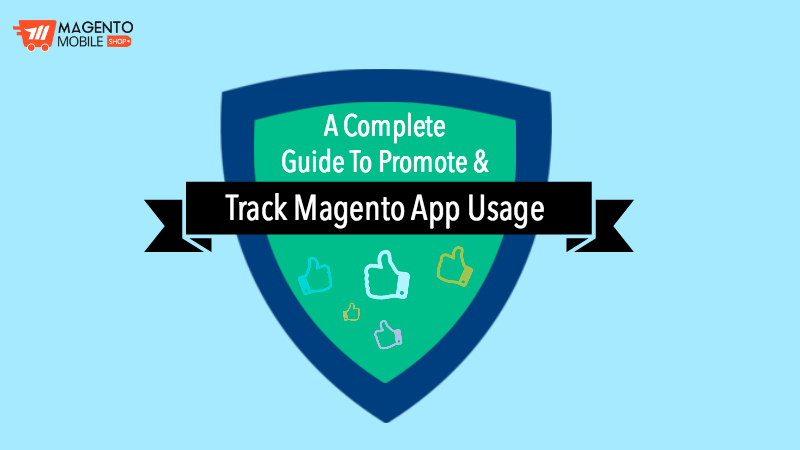 This was the complete guide of promoting and tracking your ecommerce Magento App. By following these steps, you can not only increase your app installs, gain users and make revenue, but also monitor the usage and strategize future marketing strategies. Want to make a free app? You can submit your request by hitting the button below and filling form.